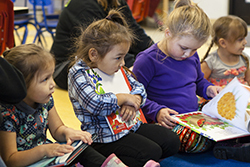 Sealaska Heritage sponsors Baby Raven Reads, an award-winning program that promotes early-literacy, language development and school readiness for Alaska Native families with children up to age 5. The pilot program in Juneau ended in 2017, and SHI received funding to offer the program for another three years and to expand it to nine other communities in Southeast Alaska. 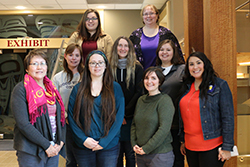 SHI—in partnership with Central Council of Tlingit and Haida Indian Tribes of Alaska (CCTHITA) Head Start program—will offer the three-year program in Juneau, Angoon, Craig, Hoonah, Klawock, Petersburg, Saxman, Sitka, Wrangell and Yakutat through 2020. Baby Raven Reads regular programming will pause in June and resume in September. Gumboot Camp, a pre-kindergarten camp, will take place in Yakutat and Juneau in July. This place-based and culturally focused camp is designed for Alaska Native children ages 4 and 5 years old. Experienced early childhood educators will choose a theme and children will be fully immersed in projects to showcase to parents at the end of the week. Enrollment will open in May, space is limited. Family literacy events will occur 9 times a year in each community. Storytelling, songs, and other literacy activities are available to Alaska Native families with children up to age 5. Through playful and culturally relevant activities with parents, children are provided opportunities to practice and develop skills such as oral language, phonological awareness, print awareness, and letter knowledge. The following events have been scheduled in each community. Please note that dates are subject to change. Community liaisons are the point of contact in communities for all communications regarding the project. The following lesson plans were developed by SHI staff for the Baby Raven Reads program. SHI encourages parents and teachers to download them for their own use. 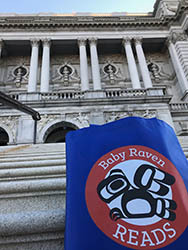 Tlingit audio for the Baby Raven Reads book Shanyaak'utlaax - Salmon Boy is available here.